Your Big Day might not last forever, but you can get a little help getting your bouquet to stick around thanks to Lauren Whiteside Mann of Southern Bloom Press (843/514-2282), who preserves bridal bouquets as keepsakes. While the craft’s earliest roots first seem to have sprouted in Asia, flower pressing became en vogue in Europe during Victorian times, and, perhaps thanks to the Martha Stewart influence of the past few decades and the rise of the Etsy generation, it’s experiencing another resurgence in popularity.For her part, Lauren, who says she picked blooms and pressed them in books as a child, got into the genre in earnest in 2016 when she wanted to preserve her own wedding bouquet. She watched a few DIY tutorials, ordered a flower press, and says she was hooked. She launched an Etsy shop, and today Lauren, who by day works in fundraising at the College of Charleston (her alma mater), takes commissions (starting at $75 for smaller pieces and at $250 for wedding bouquets) and teaches classes ($50 to $60 per person), too. 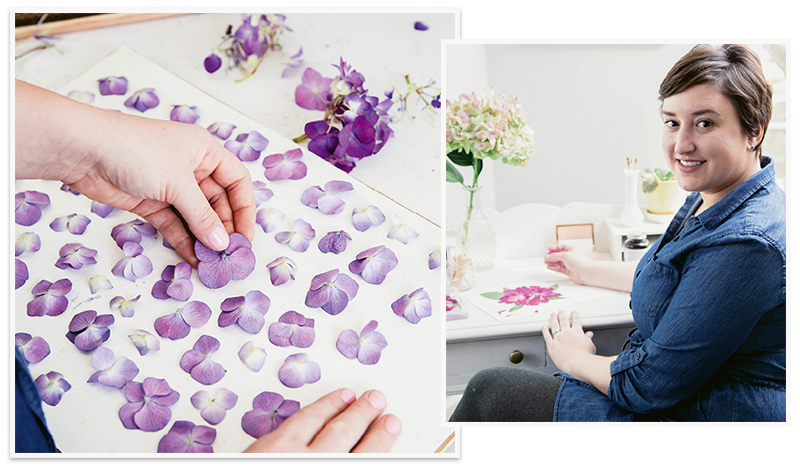 To make one of her floral creations, Lauren collects your bundle of blooms within 24 hours of your wedding. From there, she begins a drying and pressing process that, from start to finish, it takes approximately two to three months. And while some artists preserve a bouquet as near to its original form as possible, Lauren fashions an interpretation of your arrangement or focuses on select flowers per your direction. Options aren’t strictly limited to floral representations alone, either. Of late, she’s been toying with creating monograms out of flowers. No matter the style, no matter where the blooms come from, the end results, she says, have a very Charleston accent. Images by Upper King. How a preserved bouquet or flower looks depends on the crafting style of the artist who creates it. The genre tends toward a country accent (think sun-worn, weathered frames), or a old-school one (like ornate, gilded frames). We love the modern looks in seamless glass and white frames with simple, if any, background. To find something that works for you, pick the artist whose work you like most, then talk to them about a frame look that suits your own décor preferences. Here are some other local to consider. One of the Lowcountry’s best fresh-flower florists also works with dried blooms. Browse their arrangements and inquire about carrying a preserved bouquet on your Big Day. This Lowcountry artist flowers between panes in a window frame for a landscape view. Transform your bouquet into a flower field with their touch. This Summerville-based group preserves bouquets in entirety and displays them in 3-D shadow boxes. Prices start at $450. Our favorite of the options from this artist is her “Flower Garden” rendition of wedding bouquets. Other options include collages with your invitations. Prices range from $175 (boutonniere) to $850 (bouquet). If framed flowers are not your thing, but you still want to create a keepsake from your Big Day Blooms, this North Charleston group will made custom Pandora-like beads with the petals of your bouquet.